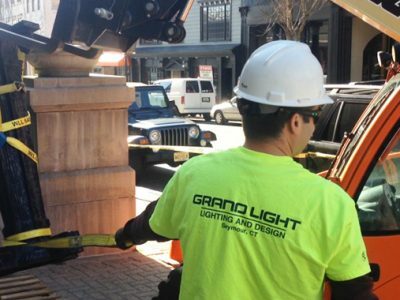 Grand Light's restoration team came fully prepared to disassemble and remove the historic standards and clock utilizing a combination of a lull forklift, portable power-lifts, ladders, and muscle, without causing any disruption to the daily activities of the city hall. 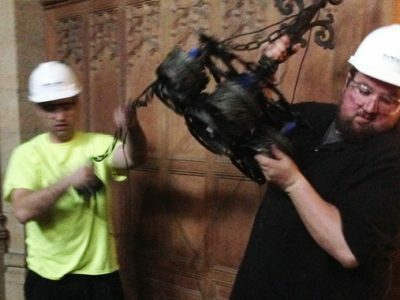 Grand Light was selected by All-Brite Electric, Inc and Standard Builders for the restoration of the Yale University's Sterling Memorial Library Manuscripts & Archives historic interior lighting fixtures. This project included the removal and pickup of almost 50 large bronze pendant lights and ceiling mounts, and over 200 glass shades. 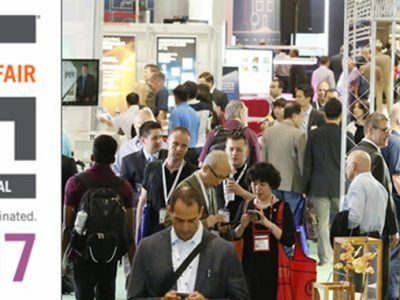 Keeping up to date with industry innovations and technology, Grand Light's Ryan and Pat recently attended LIGHTFAIR International 2017, hosted in Philadelphia, Pennsylvania.